Inappropriate prescribing is linked to increased risks for adverse drug reactions and hospitalisation. Combining explicit and implicit criteria of inappropriate prescribing with the information obtained in patient interviews seems beneficial with regard to the identification of drug-related problems (DRPs) in hospitalised patients. We aimed to investigate the inclusion of pharmacist interviews as part of medication reviews (including the use of explicit and implicit criteria of inappropriate prescribing) to identify DRPs in older inpatients. 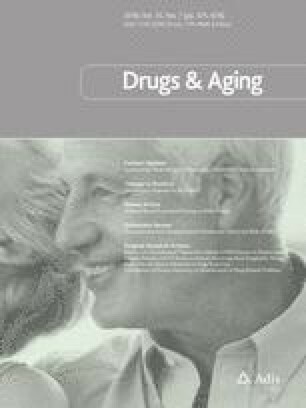 Clinical medication reviews were performed on geriatric and associated physical and neurological rehabilitation wards in a regional secondary care hospital. Data from electronic medical records, laboratory data, and current treatment regimens were complemented with a novel structured patient interview performed by a clinical pharmacist. The structured interview questioned patients on administration issues, prescribed medication, self-medication, and allergies. The reviews included the use of current treatment guidelines, the Medication Appropriateness Index, the Screening Tool of Older People’s Prescriptions (STOPP, v2), and the Screening Tool to Alert to Right Treatment (START, v2). The potential relevance of the DRPs was estimated using the German version of the CLEO tool. In 110 patients, 595 DRPs were identified, averaging 5.4 per patient (range 0–17). The structured interviews identified 249 DRPs (41.8%), of which 227 were not identified by any other source of information. The majority of DRPs (213/249, i.e. 85.5%) identified by patient interview were estimated to be of minor clinical relevance (i.e. limited adherence, knowledge, quality of life, or satisfaction). We demonstrated that structured patient interviews identified additional DRPs that other sources did not identify. Embedded within a comprehensive approach, the structured patient interviews were needed as data resource for over one-third of all DRPs. The online version of this article ( https://doi.org/10.1007/s40266-018-0557-z) contains supplementary material, which is available to authorized users. The authors thank the contributing wards and the hospital staff for their generous assistance and Dr. Roland Preston for proof-reading the manuscript. This study was enabled by funding from the University of Basel. No external sources of funding were used to assist in the conduct of this study or the preparation of this article. Dominik Stämpfli, Fabienne Boeni, Andy Gerber, Victor Bättig, Kurt Hersberger and Markus Lampert declare that they have no conflicts of interest relevant to the content of this study. Federal Office of Public Health (FOPH). Kennzahlen der Schweizer Spitäler [Key Figures for Swiss Hospitals]. Berne: Foph; 2017. http://www.bag-anw.admin.ch/2016_taglab/2016_spitalstatistik/data/download/kzp15_publikation.pdf?v=1487842410. Accessed 16 Nov 2017. Pharmaceutical Care Network Europe. PCNE statement on medication review. 2013. http://www.pcne.org/upload/files/150_20160504_PCNE_MedRevtypes.pdf. Accessed 16 Nov 2017. MediQ—Einschätzung des Interaktions-Risikos bei Polypharmazie (mediq—assessment of interaction risks in polypharmacy). 2017. https://mediq.ch/welcome_public. Accessed 16 Nov 2017. Vo TH. Evaluation of the potential impact of pharmacist interventions: development and validation of the CLEO multidimensional tool. Grenoble: Université Grenoble Alpes. 2015. https://tel.archives-ouvertes.fr/tel-01315619/document. Accessed 17 Nov 2017.